As the digital communications manager at OutRight, I’m always delighted to be get contacted on our social channels by supporters about fundraisers they are running on support of OutRight's work on international LGBTIQ human rights. One of the reasons is because we know the amount of effort it takes to run such campaigns and we want to show our appreciation for their hard work! The second reason for me is that the creators tend to be connected to communities that we did not even know had an interest in the work we do at OutRight. Examples would be the mother and son duo from Belgium who made unicorns or members of the tabletop gaming world that made pins. They both included OutRight as an organization to support. I need to give a big THANK YOU to everyone that purchased the Furry LGBTQ+ flag! You guys managed to raise a $1080.00 donation for @OutRightIntl !!! Naturally, I reached out to the team who put together this fundraiser to learn more about what inspired the campaign. Here’s the interview we had with them. We hope you will support their upcoming campaign in May. OutRight: Tell us about your partnership and the Furry LGBTQ+ flag project. Cynthia: Jon and I have been friends for a long time and have worked together on projects before this one. He had a design that he was in love with, and I have manufacturing experience, so we both felt very strongly that this needed to be a tangible thing that people could have in their homes to show support for their community. Since it's an LGBTQ+ inclusive flag, it felt only right to use it as an opportunity to give back to the communities we love. OutRight: What motivated you to start a fundraiser and be proactive in supporting international LGBTIQ human rights? Cynthia: Growing up in the Seattle area, I've felt very fortunate to have been a gay youth in such a forward and accepting society. However, I recognize that's not the case for countless LGBTQ+ people around the world. Jon and I wanted to be a contributing part of any effort that helps these people feel safe and important, and fights for the human rights they deserve. 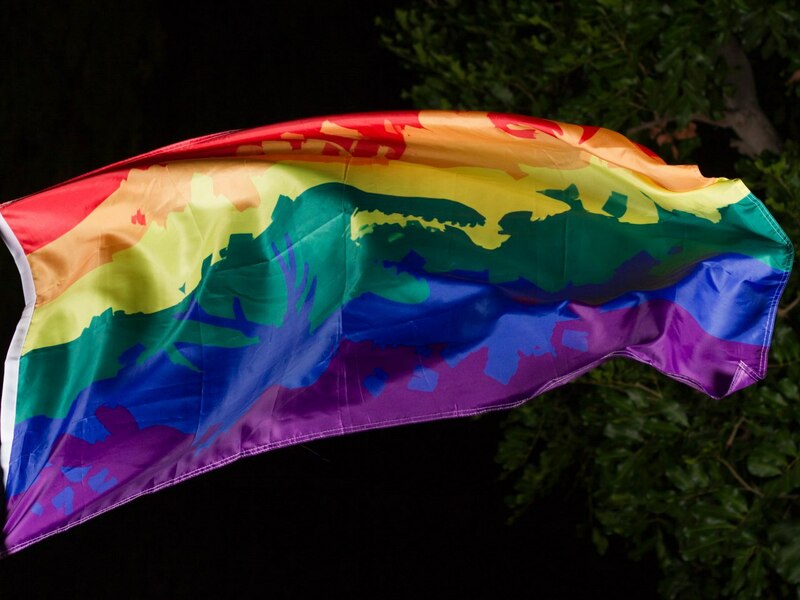 OutRight: What is the inspiration behind the Furry LGBTQ+ flag design? Jon: Well, the idea to make a flag design originally came from the London Furs community. 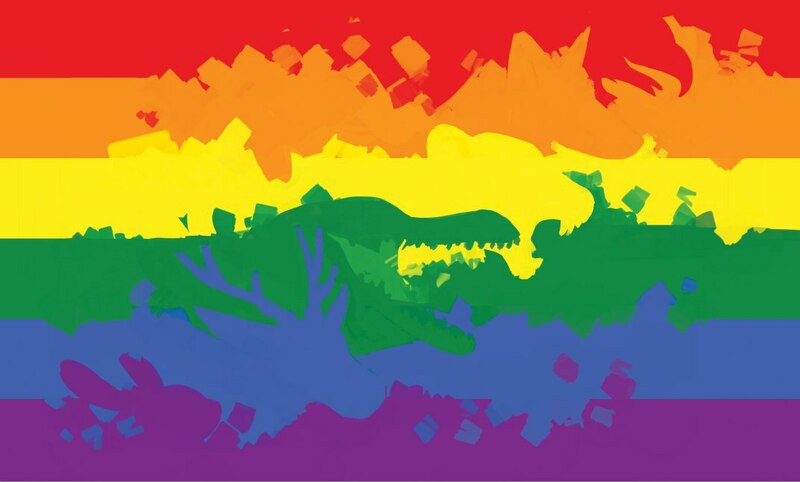 Dexy, a friend of mine and member of London Furs, reached out to me to design the new flag for their Pride event. I wanted to capture the fact our fandom isn't just supportive of LGBTQ+, but full of members from LGBTQ+! From that thought, I gained the concept to draw animal silhouettes within the original flag to symbolize those who display their pride along with their furry side. OutRight: Do you have suggestions on how OutRight can better support people who want to create similar campaigns or create collaboration opportunities? Jon: I’d personally say to continue to reach out to donors like you did for us. When we submitted that donation we were not expecting a response. I’m pretty sure Cynthia and I spent a good portion of our day relaying “I can’t believe this is happening” to each other in various ways! Sending the donation was a good feeling in itself, the fact we were contacted for this interview was additional encouragement to stay involved. OutRight: What other projects lie ahead for you? Cynthia: Jon and I are actually a part of another art project coming up that we hope to use toward another donation to OutRight Action International. We have a team of 7 amazingly talented administrators, and over 50 contributing artists and photographers. The project will culminate in a full-length fashion oriented art book that we are publishing in May of 2019. You can keep an eye on this project at @TheFFCollective on Twitter! OutRight: Is there anything else you’d like to add that we haven’t asked? Jon: I don’t think so, however I’d say Cynthia and I both would like to encourage anyone reading this message to continue to fight for and support LGBTQ+ rights anyway they can!